There's something a little exciting about freebies – and you get it two-fold at Café 63. With every coffee they give a complimentary bottle of water with branded hip '63' logo and some yummy caramel biscuits. 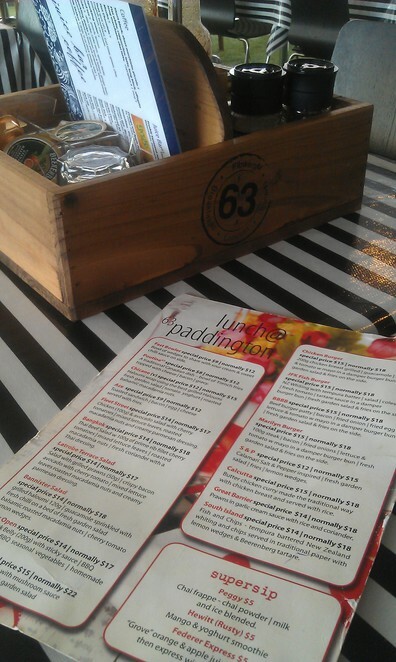 This kind of generosity reflects the customer service that you will experience at Paddington's famous Latrobe Terrace. 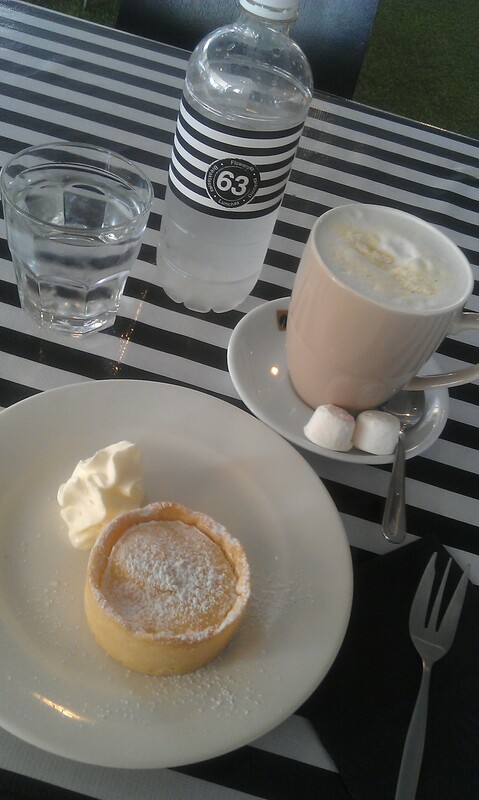 The staff at Café 63 are very friendly and quick to serve without being a bother. 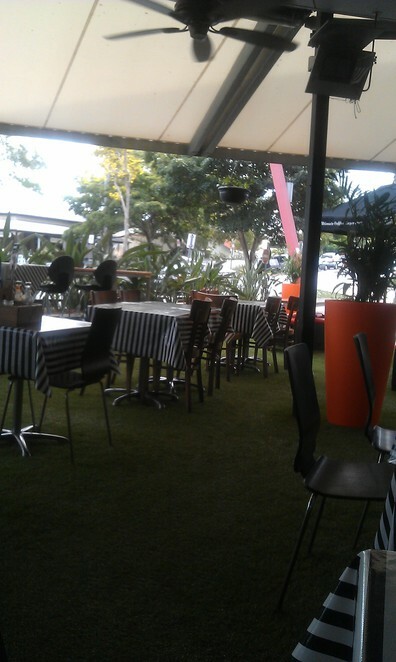 They've done a lot to revamp the place since it moved on from being "Spoon" – it now has a cute outdoorsy feel with astro turf and a black and white striped theme. For a splash of energy, they've added contrasting bright orange pot plants teamed with a rustic wooden condiments box on each table. Although by the busy roadside, it feels quiet and is easy to hold a conversation. It's a great place to bring your friends for a lazy afternoon coffee, even if only for the atmosphere. Their white hot chocolate has a dreamy layer of froth on top and tastes just as you hope it would. Don't bother with the (complimentary) marshmallows. Heaven doesn't need help. For all you Canadians out there, Café 63 offers Poutine. Being an Aussie myself, I'll let you be the judge of it. Café 63 is open seven days from 6:30am – 4pm. Contact 0431 302 926 or 07 3367 0722. The tart looks very nice. What is it?